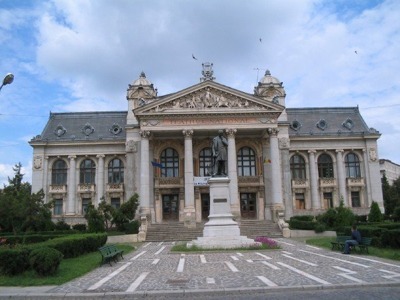 Since Iasi is the largest and most important city in the North-Eastern part of Romania, there are several regions which you can explore while departing from the cities. A day trip to Bukovina will help you discover one of the best preserved historical regions in Romania in terms of culture and tradition. The UNESCO Painted Monasteries of Bukovina are a landmark that you can’t miss, and a walk around Gura Humorului will help you get away from the daily routine and forget about all of your problems, at least for a while. This city has multiple sides all of which are mind-blowing! Just hire a chauffeured coach in Iași from a trustworthy car rental service and let the driver take all of you from one sight to another! If you plan to travel around Iasi and its surroundings with a large group of tourists, it's highly beneficial to rent a bus on profitable conditions. Choosing a bus that can accommodate all of you, you won't have to book separate taxis. This is the only solution for providing a large group of people with comfortable and safe traveling in Iași or any other European city. 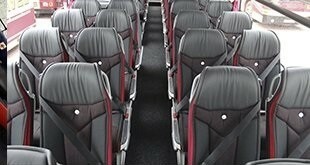 8Rental offers the best conditions for hiring the coach that best meets your requirements. This prominent car hire supplier will provide you with a large fleet of vehicles to choose from, credible drivers, free fuel, affordable charging and 24/7 customer support. We definitely have the model that will drive all of you in complete convenience. 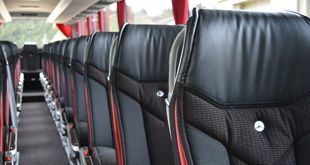 Depending on the number of passengers, as well as the budget you can afford, and the passengers' needs, you can rent one of our amazing coaches from our impressive fleet! If your group is a relatively small one we have a great offer for you. The Mercedes Sprinter standard is a lovely coach equipped with all basic comfort amenities. It's entirely safe and looks stylish. The vehicle can drive up to twenty-four people providing each of them with convenient riding along the city's roads. Just hire a coach with a driver in Iași and choose particularly this model and we assure you will never regret it! Just like the previously-described coach, this model is designed to transport around two dozens of people. However, the VIP variant is for wealthier clients. It is priced more, yet is equipped with better specifications such as air conditioning, air suspension, central heating, luxury seats, audio system, etc. Moreover, in case you have any additional requirements, just let our CS operators know. We shall equip the coach you book with what you need to have on your way. Surely, this will cost additional charging, yet all our prices are pleasantly low. Rent a chauffeured coach in Iași right away, there is no point in hesitating! For larger groups of travelers, 8Rental has a better variant - Mercedes Tourismo. This is the most capacious bus we have got in our fleet. It's made to accommodate up to sixty-five people and provide all of them with fantastic driving conditions! The standard variant has all the basic amenities one can find in a tourist bus including air conditioning, aircraft-style seats, a toilet, an audio system, and so forth. Speaking about the VIP version of the same bus, it's packed with a small kitchen, a fridge, a coffee machine, etc. If you wish, we can add a TV here. Just hire a chauffeur-driven bus in Iași from 8Rental and expect to experience the most convenient and pleasant traveling of your life! By booking a bus from 8Rental, you are being provided with a professional driver who will drive all of you safely along the city's roads. All the drivers we cooperate with are licensed and highly qualified. Each of them has years of experience in the sphere of passenger transportation of high capacity means of transportation. Therefore, you can feel entirely safe and calm for both you and your foreign guests. We have Romanian speaking local chauffeurs but they are also mastering several foreign languages. We have made everything to make the communication between our clients and their drivers utmost pleasant. These specialists know the city well and can easily take the right direction once you tell the address. 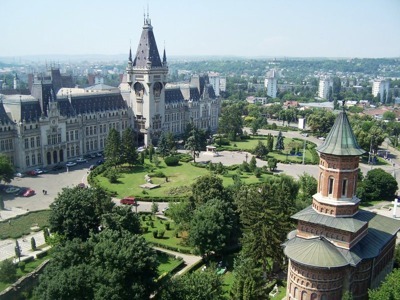 Hire a coach with us and don't miss the travel of your life in the magnificent city of Iasi!